Will I Need More Than One Breast Revision Surgery? Every woman is different; there is no way to know how many breast revision surgeries may be needed. There is the rare woman, who may not ever need a revision, but most will need at least one, and many may need two or more. It is important for women to understand that having breast implants is a lifelong endeavor that will require maintenance. As noted in this website, there are several reasons for breast revision; the most common is changing the size or type of implant, and or the development of a capsular contracture. There have been many advances to minimize the occurrence of the formation of scar tissue; however some women seem to be more susceptible than others. For unknown reasons some women continue to develop capsular contractures and, therefore, they may not be good candidates for breast implants. Breast Revision Surgery Can be Tricky! It is very important to select an experienced Board Certified Plastic Surgeon who specializes in breast surgery the first time around to minimize the potential for breast revision surgery. Call today (415) 898-4161 or email info@dr-delgado.com for a consultation with Dr. Delgado for your breast revision concerns. This entry was posted in Breast implants, Breast lift, Breast revision risks, Breast revision surgery and tagged breast augmentation, breast implant exchange, breast implant size, breast implants, breast lift, capsular contracture on December 16, 2015 by admin. 47-year-old mother of two and resident of San Francisco, California who presents to the Marin County office for breast revision surgery. She underwent a vertical breast lift with normal saline breasts implants approximately 10 years ago. She underwent a second vertical breast lift with removal of the normal saline implants and placement of 360cc high-profile Mentor silicone breast implants. Her photographs are seen approximately six months after surgery. Her surgery was performed at Dr. Delgado’s private Marin Cosmetic Surgery Center in Novato, Marin County, California. 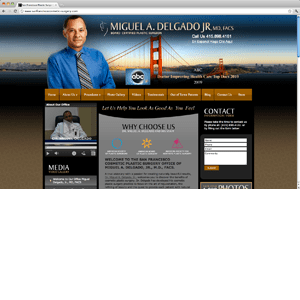 Miguel Delgado, M.D. emphasizes to all his breast augmentation patients that they will most likely need breast revision surgery at least once in their life. For many women, more than one breast revision surgery may be needed. There are many different reasons why breast revision may be warranted, and they are explained in detail on this website. The recovery can vary depending on the type of revision surgery that is to be performed. If a woman is just having her implants removed, generally only minor discomfort is experienced. Over the counter analgesics are usually all that are needed. However, if a woman is having a breast lift done in conjunction with breast implant removal, recovery will be longer. There will be possible numbness and tingling resulting, but usually lasts only a few weeks. For breast implant replacement, recovery may be about the same as the original breast augmentation surgery. The degree of discomfort will be dependent on the size and placement of the implants, and of course, the skill of the surgeon. Miguel Delgado, M.D. advises that patients need to follow their surgeon’s post-operative instructions to avoid complications during their recovery. Most likely a compression bra is to be worn for 2 weeks or more. The bra will help prevent the accumulation of fluid, help control swelling, and keep the implants in place. Sleeping elevated is also recommended to help with swelling. Patients of Miguel Delgado, M.D. are given a comprehensive booklet that details all pre-operative and post-operative instructions at their pre-operative visit. Among the post-operative instructions, patients will be advised to stop all blood thinning products, vitamins, herbs, and medications. An extensive list is in the booklet of what should be avoided. It is a good idea to bring in a list of any and all medications and supplements that you take at your pre-operative visit. Patients will need to arrange to have a friend or family member take them home after surgery and look after them for the first 24 hours. If drains have been placed to remove extra fluid buildup, the patient must wait until they are removed before bathing, to avoid possible infection. However, sponge baths are allowed. Before resuming strenuous exercise or any heavy lifting, you need to get clearance from your surgeon, usually within a few weeks. Since 1989, Miguel Delgado, M.D. has been performing breast revision surgery with great success. If you have issues with your breast implants or are unhappy with your results, call now (415) 898-4161 or email (info@dr-Delgado.com)for an appointment. This entry was posted in Breast implants, Breast lift, Breast revision recovery, Breast revision risks, Breast revision surgery on September 11, 2015 by admin. When Choosing a Breast Revision Surgeon, Read the Reviews! The informed woman knows that she will need breast revision surgery, following her original breast augmentation, at least once in her life and maybe more. When the time comes, many women wonder if they should see their same surgeon or seek out a new one. If you were happy with your original surgeon and the outcome of your surgery, there is no reason to change surgeons unless you have moved, or your surgeon has retired. If you need to find a new surgeon, there are several factors to consider. Probably the most important qualification you want to look for is that your surgeon is a Board Certified Plastic Surgeon and one that specializes in breast surgery. Doing a web search can provide you with an abundance of information, in fact so much it may be daunting trying to weed through it all! Miguel Delgado, M.D. suggests that you choose several surgeons in your area that are Board Certified. Before you even view their website; you might want to bring up reviews that have been posted by previous patients. There are several sites that patients can go to that give ratings from actual patients, some reviews are good, some not so much. Some of the sites have different categories to give you an indication on how the doctor and the staff rated. An example of the ratings would be; friendliness of the staff, ease of scheduling an appointment, how long did you have to wait to see the doctor? Did the doctor make you feel rushed? Were all your questions answered? Were you happy with your surgical results? These are all important questions and are valuable information to have before making a decision in choosing a new surgeon. Don’t be too critical, no one is perfect, one or two bad reviews are not unusual. Some people are impossible to please, look for the majority of the reviews to be good.Once you have found two or three surgeons that have good ratings, go to their website and view before and after pictures to get an idea of the results you can expect. Sonoma, California – This is a 38-year-old, female resident of Sonoma who presented to the Novato office in Marin County for evaluation for revisional breast surgery. She underwent a short-scar breast lift in 1995 and then a breast augmentation in 1996 using 120 cc, silicone breast implants. This was done at another facility. Her complaints on presentation to me were high-riding breast implants with breast contractures. She underwent complete capsulectomies on both sides with replacement with 300cc normal-saline breast implants inflated up to 325 cc bilaterally. Her procedure was performed at Marin Cosmetic Surgery Center in Marin County, California. Note the improved contour and projection of her breasts and how well the incisions have healed, especially the vertical breast lift incisional scars. Miguel Delgado, M.D. has been doing breast revision surgery since 1989 and is considered an expert in his field, call (415 898-4161)for your breast revision needs. This entry was posted in Breast implants, Breast lift, Breast revision risks, Breast revision surgery and tagged before and after pictures, breast augmentation, breast revision, reviews on May 18, 2015 by admin. Hopefully, when you first got your breast implants for breast augmentation surgery, your surgeon explained that this is most likely, not a “one time” procedure. 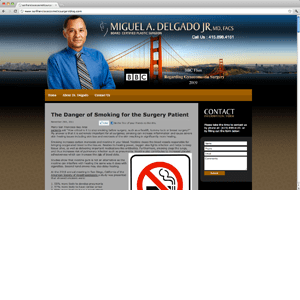 Dr. Delgado is very careful to explain to his San Francisco Bay Area patients that usually within ten years’ time some type of revision most likely will need to be done so that it will not come as a surprise. Some women may need more than one revision in their lifetime. Sonoma, California – A 45-year-old female of Monterey, California who presents to the San Francisco office at Union Square for breast revision surgery. She has had five previous breast revision surgeries. In 1996, she underwent breast augmentation using 270cc anatomic normal saline implants. Because of implant wrinkling, in year 2000 she had 35cc of saline placed within the same implant. In 2001, she had ex-plantation of the normal saline implants because of the persistent wrinkling and had placed 360cc silicone breast implants. In 2005 she wanted increase in size and underwent replacement of her 360 cc implants to 500 cc high profile silicone implants. In 2006 she developed a capsular contracture on her right side and underwent capsular contracture removal and replacement with 500cc Mentor silicone breast implants. Do the implants need to be replaced? Are the implants ruptured or deflated? Is a breast lift needed? Will there need to be a new pocket for the implants? There are many other variations and combinations so it is hard to give an idea of the cost since it is a case by case situation. It will most likely be as much as the original surgery and perhaps more. The good news is you may not be responsible for all of the fees. For example, depending on the reason for breast revision surgery, the manufacturer may supply replacement implants at no cost to you. If your revision surgery takes place less than 10 years of the original surgery, the manufacturer sometimes offers limited financial assistance. Mentor (which is the manufacturer of the implants Dr. Delgado uses) includes a limited warranty with the purchase of their implants to assist with surgical fees during the first 10 years should a revision be necessary. Mentor also offers an extended warranty to patients for a nominal fee which may double the amount of assistance. However, if your original surgery was more than 10 years ago, there may still be help for you. Your implants come with a lifetime guarantee, so depending on the reason of failure of the implant(s) the manufacturer will most likely replace them at no cost to you. Additionally, depending on the reason for revision, your medical insurance may cover some costs. Dr. Delgado’s patient coordinator will be able to help you apply for coverage to your insurance. Dr. Delgado has been doing breast revision surgery since 1989, call today (415) 898-4161 or email (info@dr-delgado.com) for an evaluation for all breast revision complications. This entry was posted in Breast implants, Breast lift, Breast revision cost, Breast revision surgery and tagged breast augmentation, breast implants, breast lift, breast revision on October 26, 2014 by admin. San Francisco, CA – A 22 year old resident of Sacramento, CA presented to the Union Square San Francisco office for breast revision surgery. Her normal saline implant on the left side was a complete deflation. She had replacement of her normal saline implants with 420cc silicone implants under the muscle. The lower pole of the breasts are stretched showing signs of bottoming out. She did not want correction of this deformity. When contemplating breast augmentation surgery, many Marin County women ask Dr. Miguel Delgado how long breast implants will last. There is no way to know how long as it is different for everyone. There isn’t an expiration date on them. Implants are not biodegradable, they are designed to last forever, and technically they could. However, other factors such as the age of the woman and the condition of her skin and muscles and the ensuing sagging of the breast will determine when the implants may need to be exchanged. Some women may need a breast lift when they have breast revision surgery. If you are not having a problem with your implants, they do not need to be replaced; however, you should be prepared to have breast revision surgery at least once in your life, and maybe more. Basically, all breast implants have the same design. They are made up of a silicone envelope and filled with either saline or silicone gel. Breast implants can develop a tear or hole. Ruptures or deflations can happen if there is a severe blow to the chest. If implants are old, it is possible that they can rupture during a mammogram. Saline implants have a valve. If the valve is defective, or breaks, it will deflate, as pictured above. Recent advancements for breast implants have made them safer and longer lasting than ever. Breast implant manufacturers stand behind their products and give them a lifetime replacement guarantee. They also extend a ten year warranty for reimbursement of some of the surgical costs, if breast revision surgery becomes necessary. If you are having issues with your breast implants, you are encouraged to call (415 898-4161) or email (info@dr-delgado.com)for a consultation with Dr. Delgado. This entry was posted in Breast implants, Breast lift, Breast revision surgery and tagged deflation, mammogram, rupture, saline implants, silicone gel on August 25, 2014 by admin. There are several different reasons for breast implant exchange; one of the most common is to change the size of the implants. Many women will wait until they might need a breast revision for something else which will usually occur within ten years of the original breast augmentation, but some who are unhappy with their size may not want to wait. Dr. Miguel Delgado spends a great deal of time with his patients prior to surgery in determining the correct size, so fortunately dissatisfaction with breast implant size is rarely an issue. For the few women who wished they had a different size, 90% to 95% wished they had gone larger. Usually when trying to decide between two sizes, it is advised to go with the larger of the two. Women need to have good communication with their cosmetic plastic surgeon and trust his/her opinion when it comes to picking the right size. There are considerations for the surgeon that the patient may not understand. The surgeon wants to maintain the proportion of the breast size to the anatomical dimension of a woman’s body, taking into consideration the relation of the shoulders and hips. Most women are a combination of body types, so it is essential that she is evaluated by an expertly trained cosmetic plastic surgeon to determine the correct size for her breast implants. However, the wishes of the patient are definitely taken into consideration. The patient needs to understand that if she wants very large implants, she may be limited by the width of her chest. Other factors help determine the profile of the implants, such as the patient’s age and the condition of her the skin. Different body types will accommodate different size implants; it is not a one size fits all. Bringing in pictures to the initial consultation will help the surgeon understand the patient’s goals. It is strongly advised that the patient ask to see before and after pictures of the surgeon’s actual patients. 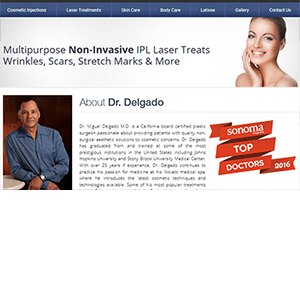 Dr. Delgado’s main goal is patient satisfaction; fortunately he rarely has a patient dissatisfied with the choice of implants as much time is spent in helping the patient come to a decision, including doing the “rice test” which helps her visualize what the outcome will be before surgery. Some breast augmentation patients are anxious to have a breast revision right away if they are not happy with the results. They need to understand that implants normally ride high for the first four months or more, the skin and muscle need to stretch allowing the implants to drop into the correct position. 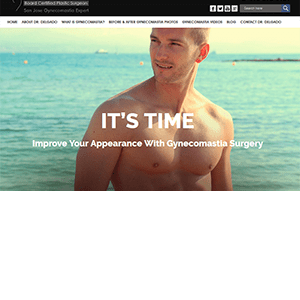 While some patients may think they are not happy with their immediate results, once the implants drop into position, they may change their mind; time must also be given for the patient to adjust to her new body image. If the decision is to change implants for a larger size, it may be necessary to modify the implant pocket to accommodate larger implants. On the other hand, if a woman wants smaller implants, it is possible a breast lift may be required if there is some degree of skin laxity. Each situation is individual, and depending on what changes are to be made, will affect the cost of breast revision surgery. Breast revision usually is complicated and selection of a Board Certified Plastic Surgeon who specializes in breast surgery is essential. If you have concerns about your breast implants, call today (415 898-4161)or email (info@dr-delgado.com) for a consultation with Dr. Delgado, who will be able to evaluate your situation and make available to you all your options. This entry was posted in Breast implants, Breast lift, Breast revision cost, Breast revision risks, Breast revision surgery and tagged before and after pictures, breast implant size, implant pocket, liposuction, mommy makeover, profile, saline implants, skin laxity, slicone beast implants, tummy tuck on July 25, 2014 by admin. Does Breast Revision Surgery Cost More or Less than the Original Surgery? This question comes up frequently on RealSelf.com, but there isn’t one definitive answer. There are many different reasons for breast revision surgery as you will notice under the procedure section of this website. One of the main reasons a patient has a breast revision is because she is dissatisfied with the size of her breasts, Dr. Delgado does not have this happen very often as he reviews size with the patient very carefully and has her do the rice test. If breast implant exchange is done in the first year, Miguel Delgado, M.D. does not charge a professional fee, but there will be fees for new implants, anesthesia and the surgery center. Breast revision surgery can be quite complicated, if the breast implants are silicone and have ruptured, it is a very tedious and time consuming procedure to remove the silicone. This is less of a problem with the newer cohesive gel implants as the gel mostly will retract back into the implant envelope. If a deflation or rupture has occurred, it is possible that the manufacturer will replace the implants at no cost and may contribute to surgical costs if it has happened within 10 years of the original surgery. Some women will want to have the location of the implants changed from over the muscle to under the muscle; they may want to change to silicone from saline or vice versa. For “bottoming out” problems, the internal pocket may need adjustment. It is possible that a woman will need a breast lift at some point in the future. It is important for women to be aware that breast augmentation surgery is rarely a one-time procedure. The breast revision cost will vary greatly depending on what corrective procedure is done. The bigger concern than the cost should be in the selection of the right surgeon. 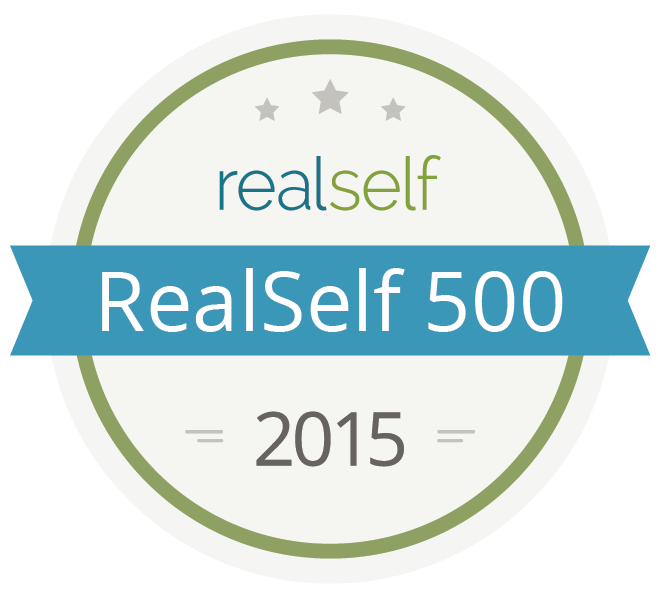 In addition to being a Board Certified Plastic Surgeon, the patient should be seeking out a surgeon that has much experience with breast surgeries. 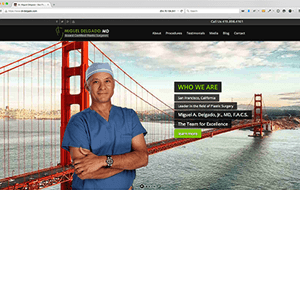 It is possible to get a lot of information on the internet about different surgeons, look at their website for before and after pictures, read reviews posted by other patients. Prepare ahead of time for your consultation with a list of questions. Do not hesitate to ask the doctor what procedure he/she recommends for you and how it would be performed. Dr. Miguel A. Delgado is an expert breast revision specialist having done hundreds of complicated cases. Call (415 898-4161) or email (info@dr-delgado.com) today to schedule a consultation for your breast revision concerns. This entry was posted in Breast implants, Breast lift, Breast revision cost, Breast revision surgery and tagged bottoming out, breast augmentation, breast implant exchange, breast lift, cohesive gel, deflation, rupture on June 17, 2014 by admin.